Leighton Richardson arrested in Tenerife after his girlfriend was found dying in a pool of blood at her apartment has been released from custody after being held since Christmas Eve.Before making his bail decision the judge studied police information which – despite earlier reports – said no baseball bat had been found at her flat. 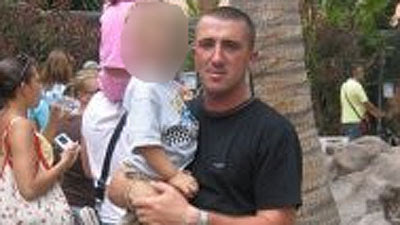 But while investigations continue Leighton Richardson, born in Wrexham and who grew up in Mold, remains a suspect.He has been ordered to report daily to the court at Arona, on the holiday island’s south coast, where the investigating judge in charge of the case is based.Richardson has also had to surrender his passport to the court. He was arrested in the early hours of Christmas Eve after Lisa McConway, 28, from Blackrock, County Dublin, Ireland, was found by police at her flat in the brash resort of Playa de las Americas.She was in a critical condition and had severe bruising to much of her body.She was rushed to hospital but died at 1pm that day.Reports said police had gone to the flat after neighbours telephoned just after 3am to report a violent row was taking place. The investigating judge decided to grant Richardson “provisional liberty” – the Spanish term for bail – after studying a written report by pathologists following an autopsy. The experts were reported as concluding Miss McConway, who had a British passport, could have died either as the result of a beating or following a fall, it was reported yesterdayAlthough her injuries were consistent with an attack the autopsy revealed she suffered from a blood clotting condition which could cause extensive bruising as the result of a fall, court sources told local journalists.Before making his bail decision the judge had also studied a police report which despite earlier reports said that no baseball bat had been found at Miss McConway’s flat.Nor had any witnesses been found to back-up the claim reportedly made by the initial caller a serious row had taken place. Richardson had emphatically denied throughout his time in police custody and later at a closed door hearing in front of the investigating judge he had beaten Miss McConway. Following Miss McConway’s death Jose Antonio Batista, the Spanish Interior Ministry representative in Tenerife, described the scene which greeted officers at her apartment as a “Dantesque spectacle”.He was quoted as telling local reporters: “All the furniture was overturned and there was blood on the floor and the walls.”The official also said Miss McConway had telephoned Richardson, who lived elsewhere, at 3am last Wednesday to say she felt unwell. The boyfriend arrived shortly afterwards at her flat.Reports yesterday said the couple’s young son would be handed over to Richardson on his release. Guardia Civil officers, in collaboration with the Italian Arma de Carabinieri, have arrested a 44-year-old member of the mafia-like criminal organisation, the Camorra, in Fuengirola. The man is an important member of the Clan Mariano of the Naples Camorra, and has had an arrest warrant on him for 17 years.The police operation was launched thanks to information the Guardia Civil received from the Arma de Carabinieri. The intelligence revealed that an important Camorra hitman who had escaped from Italy could be living on the Costa del SolOfficers from the Guardia Civil’s Team Against Organised Crime (ECO) along with Carabinieri officers from Naples in Italy searched for the man in areas where they suspected he was. The officers knew that the suspect was living on the Costa del Sol and used public cyber-cafés to contact other members of the Camorra.The camorrist was finally arrested at the entrance of a cyber-café thanks to a picture provided by the Arma de Carabinieri. The drugs were being smuggled from Argentina concealed inside specially adapted shoes that were worn by a couple in their late fifties who were arrested at Valencia's Manises airport on Christmas Day after stepping off a plane from Buenos Aires in possession of 1.6kg of uncut cocaine. Five members of a gang that has been smuggling cocaine into Spain by hiding it inside training shoes, have been arrested. The couple's two sons and a third individual responsible have since also been detained. It seems that the gang has been operating for some time and also trafficked a variety of other recreational drugs for sale in the Balearic Islands, mainly Ibiza. Paul Hickey is currently serving 15 years at Fontcalent jail, one of Spain's toughest penitentiaries. Hickey, is currently serving 15 years at Fontcalent jail, one of Spain's toughest penitentiaries.Sandra Conroy said she would block any attempt by Paul Hickey to move to an Irish prison for the rest of his sentence.He was sentenced in November when he admitted battering Celine (26) to death at their holiday home on the Costa Del Sol three years ago. He can apply to be transferred to an Irish prison, but this would have to be approved by both the Spanish and Irish authorities. "I'm still in contact with my solicitor, it's still not over for me," Sandra said. "I'll keep up the fight if there is any way they can even consider letting him come home. If it's the courts or the Dail, I'll tie myself to the railings if I have to to keep him in Spain." Sandra remains sceptical about claims Hickey (31) has made about being stabbed repeatedly in jail.She said she was sickened by a recent press interview he gave complaining of conditions at the notorious prison. "He said he'd been stabbed in prison, but I didn't see any marks on him when he was in court," Sandra said. "It was all about himself and how hard he was having it. "Meanwhile, Sandra has said she is still haunted by Hickey's sneering attitude as he was sentenced.The family spent Christmas together and visited Celine's grave in Glasnevin. National Police and the Guardia Civil have reported that the charred body of a man has been found in a burned out vehicle in inland from Villajoyosa .The car and body were found on a piece of wasteland last Tuesday in an area known as Partida Ripalmes .The identity of the man remains unknown and the police have not released any further details .Both the National Police and the Guardia Civil have joined forces to try and solve the possible crime .It is possible that the death was an accident but it could also be murder .A post -mortem will be carried out this week . Diario Sur newspaper reports that the Guardia Civil are looking for two un-named British people in connection with the disappearance a year ago of the Irish youngster Amy Fitzpatrick from Mijas Costa. One of the people wanted for questioning is a man, another a woman, and both are said to be in the United Kingdom although it is reported that they don’t know each other. They are under investigation at the request of Amy’s family.Amy’s mother Audrey says in an interview with the paper that it has been the longest year of her life, and that it is impossible to stop thinking about Amy. She says she is living a nightmare but has not given up hope of being reunited with her daughter. The 28 year woman, named as Lisa McConway, who has family living in Dublin, was found unconscious at her home near Playa de las Americas in Tenerife.She died this afternoon after allegedly being hit by her boyfriend with a baseball bat, which the aggressor then through out the window.British woman, resident on Tenerife, is the victim of the latest domestic violence tragedy in Spain.Her beaten body was found in Urbanisation Palo Blanco in Playa de las Américas in the south of Tenerife, after neighbours heard the fight and called 091, and reports indicate that she died from her injuries on the way to hospital. The alleged aggressor, also British, was arrested at the scene and police say there were signs of a fight in several rooms of the flat.The case is being instructed by Court Number 7 in Arona.Police have arrested the woman's boyfriend who has been named as Leighton Richardson.The 28-year-old, who has been named as Lisa M, was discovered in an apartment block in the Playa de las Americas resort.According to statements made by her boyfriend, the victim phoned him at around 3am GMT on Wednesday morning and asked him to go to her apartment because she was feeling ill.
Spanish police smashed an international drug ring that trafficked cocaine from Peru to Israel and via several other countries, including Spain. Spanish police smashed an international drug ring that trafficked cocaine from Peru to Israel and via several other countries, including Spain.Port of Barcelona authorities, as part of a joint operation with Peruvian, Israeli, U.S. and Bahamas police, seized 674 kilograms of cocaine shipped from Peru on a vessel bound for Jordan’s Aqaba port. The drugs had been stuffed into an industrial paper shredder. In early December, Caribbean, Peruvian and Spanish police intercepted cocaine shipments hidden in lead-plated heavy machinery designed to fool airport x-ray security scans.A month prior, Peru’s police drug enforcement unit, Dirandro, carried out four simultaneous raids in Lima’s districts of Miraflores, Ate, Chorrillos and San Isidro, seizing more than half a ton of cocaine. Five people were arrested, including four Peruvians and an Israeli national.Spain is Europe’s main entry point for cocaine from South America, although large quantities are now transported via West Africa. And, according to a UN Office on Drugs and crime report published in January, Spain has become the top consumer of cocaine in continental Europe. 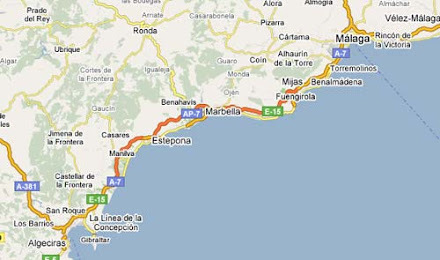 65-year-old father Robert Orchard had done a deal with drug-traffickers in his home town of Marbella. supposed to be the time of goodwill to all men, but I doubt if any goodwill I have will extend to him.“As far as I’m concerned I haven’t got a father and my son hasn’t got a grandfather.“I thought the authorities were going to take my boy away from me. I couldn’t think about Christmas, but now I’ll be able to celebrate it with my son. “I don’t care about my dad – he’ll be spending his Christmas behind bars.”But it wasn’t all comfort and joy for Cheyrl as she was fined £200 for breaking her bail by smoking in a prohibited area outside the front door of the court on Friday.She apologised and told Judge Michael O’Sullivan she had been under a great deal of strain.The judge accepted her apology but told her the restriction was put in place to stop her accidently bumping into jurors.Robert Orchard is due to be sentenced next week. British person has been injured in a shooting incident in L’Ametlla de Mar in Tarragona today, in which a German man has died. The 33 year old German was shot in the thorax and abdomen and suffered a heart attack.Spanish police think the shooting which involved four people in total was a settling of scores related to drug trafficking. An Italian is seriously hurt after being shot in the neck. He made his own way to the local health centre from where he was taken by helicopter to the Joan XXIII hospital in Tarragona where he has had surgery. The Briton was stabbed in the thorax and treated in a local ambulance. His involvement in the affair is still being investigated and as yet he has not been arrested.It happened at 4,30pm on Monday in a chalet in Calle Rovelló, in the Sant Jordi Alfama urbanisation in L’Ametlla.All four men involved in the shooting and stabbing were living locally and reports say some of them have a previous record for drug trafficking. Europe’s second- biggest bank by market value, may drop after saying its hedge fund unit invested 2.33 billion euros ($3.1 billion) of client funds with Bernard Madoff, who allegedly ran a Ponzi scheme that cost investors $50 billion. Police are fearing a backlash of reprisals against the family, who were forced to abandon their home several days ago. 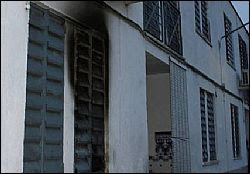 Nobody was injured last Saturday night when arsonists fire-bombed the home of the family of a Spanish man, Rafael Hidalgo Castro, who has been in jail since December 1st accused of the murder of a Gypsy man, 51-year-old José Reyes, on November 9th. The victim's son is calling for calm and said that those responsible for the attack "are not doing us any favours in our struggle for justice for our father's murder. We are not looking for revenge. If we had, we would already have exacted it." The incident took place in Santiago, one of the poorest districts of Bujalance and home to both Spanish and Gypsy families. At the time of the murder, Castro had been on the run since February 2006, when he failed to return to jail after being granted an eight-hour pass to visit his sick mother, and since when police suspect him of committing around 25 other offences. Local mayor, Rafael Cañete, described the incident as "totally deplorable, adding that: "If we start down this violent path, nothing will get resolved. Rafi's family has not done anything and the Talion Law of an eye for an eye is not the solution." Pedro Solbes has described the impact of the Madoff investment fraud as "of very little concern for the Spanish market." Speaking to the press following the 'Spain in the IMF and the World Bank: a 50-year relationship' conference in Madrid, Mr Solbes said that, at the moment, the only figures available indicate that the total amount lost by Spanish finance companies may be as little as €38 million euros although he informed that the Spanish stock market watchdog, the CNMV, is undertaking a "specific analysis." According to the Economy minister, the three Spanish insurance companies affected by the scam have lost €2 million euros while nine pension funds have been affected to the tune of €36mn, equivalent to only around 0.04% of their total investments. The total value of the fraud worldwide is estimated at around €37.4 billion ($50 billion US dollars), and has been described as "the biggest financial scandal, possibly in the history of the markets". Mr Solbes concluded by saying that the Madoff case is further proof that the "systems of financial supervision and control are failing in some countries." Notwithstanding, the Santander Group admitted yesterday that it has €2.3 billion euros invested in the firm managed by Bernard Madoff, who was arrested last week and charged with fraud while the BBVA bank estimates its losses at around €30 million. 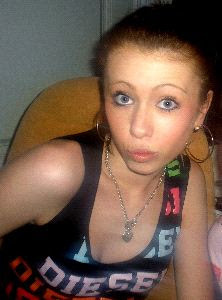 THE mother of missing teenager Amy Fitzpatrick says she won't be celebrating Christmas this year as she continues to wait for news of her daughter's disappearance.Amy vanished on the evening of January 1 this year, when she left her friend's house in the tourist resort of Riviera Del Sol in Spain's Costa Del Sol, to walk the 15-minute journey home. Mother Audrey Fitzpatrick said: "As well as not being able to do it myself, I don't want to ruin it for my family as well." She said Amy's accent had changed since the family's move to Spain. "Since living here in Spain, Amy has developed a very strong English accent as all her friends are English. So people may make the mistake of thinking that she has an Irish accent, she doesn't. "She was speaking to RTE's 'Crimecall' which travelled to Spain to talk to Ms Fitzpatrick and her partner, Dave Mahon, as they continue their search for Amy. 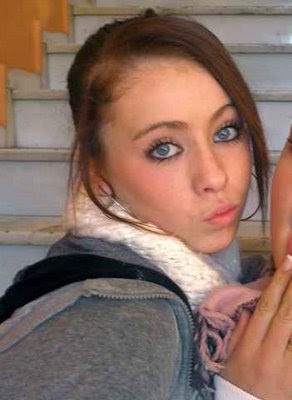 More information is available at www.missingamy.com. 'Crimecall' is broadcast tonight on RTE One at 10.15pm. 45-year-old man has been arrested after being stopped by a Guardia Civil traffic control in Fasnia for possession of cocaine intended for sale. His nervousness gave him away after being pulled over for a routine check, and officers searched his vehicle. They found a bag with 14 grams of cocaine and a weighing scales. Spain's largest bank Santander said customers of its hedge fund Optimal have an exposure of €2.33 billion to the alleged fraud committed by Madoff. Spain's largest bank Santander said customers of its hedge fund Optimal have an exposure of €2.33 billion to the alleged fraud committed Madoff. The bank, Europe's second largest by market capitalisation, also said it had invested €17 million of its own funds in Madoff products. “The exposure of Santander customers in Optimal Strategic is €2.33 billion, of which €2.01 billion is from institutional investors and customers from private international banking,” it said in a statement. Madoff was arrested last week for allegedly defrauding his customers through a giant pyramid scheme, with prosecutors alleging that the 70-year-old, a decades-long veteran of Wall Street, confessed to losing at least $US50 billion ($75 billion) in the so-called Ponzi scheme. Madoff's company, Bernard L. Mr Madoff Investment Securities, attracted “the world's financial aristocracy,” said the Spanish newspaper El Pais. Among his clients were international banks as well as discreet private banks and companies involved in managing the fortunes of a single wealthy family. French bank BNP Paribas said it could lose up to €350 million in the scandal. BNP Paribas said that it had no direct investment with Madoff's company but “it does have risk exposure to these funds through its trading business and collateralised lending to funds of hedge funds”. “If, as a result of the alleged fraud, the value of the assets of these hedge funds is nil, BNP Paribas' loss could amount to around €350 million,” the bank said. Swiss bankers face losses of up to $US5 billion, Geneva's Le Temps newspaper said. It said that Union Bancaire Privee, a major asset management institution specialising in hedge funds, could be exposed to the tune of $US1 billion. UBP refused to comment on the report, which said that 90 per cent of fund management companies operating in Geneva invested in Madoff products.Among the small Swiss private banks,Reichmuth & Co warned investors that around Swiss francs 385 million ($493 million), or 3.5 per cent, of its assets under management, were affected by exposure to the alleged pyramid scheme run by Madoff. In a letter to investors, the Luzern-based private bank said that its Matterhorn fund of hedge funds has exposure to several hedge funds which could be affected by the scheme. "Provided the mentioned hedge funds will have to face a total loss, the performance impact on Reichmuth Matterhorn would amount to 8.6 per cent," the bank said in the letter. Another Spanish fund manager, MandB Capital Advisor, headed by the son of Santander president Emilio Botin, could also be exposed up to hundreds of millions of US dollars. In the collapse of Lehman Brothers in September, Spanish investors had exposure of between €1.3 and €2.6 billion. In London, an investment fund that counted itself a client of Mr Madoff criticised the “systemic failure” of regulators in the United States. Bramdean Alternatives said the accusations against Madoff raised “fundamental questions” about the American financial regulatory system. “It is astonishing that this apparent fraud seems to have been continuing for so long, possibly for decades, while investors have continued to invest more money into the Madoff funds in good faith,” the firm said in a statement. Bramdean Alternatives invested around £21 million ($47 million), or around 9.5 per cent of its portfolio, with Madoff's company. Several British newspapers reported that among Bramdean's clients is property magnate Vincent Tchenguiz, one of Britain's richest men, who apparently invested £40 million pounds with the firm. A spokeswoman for Royal Bank of Scotland said that the bank had “some exposure” to Madoff's company, but declined to give details. Europe's largest bank, HSBC, meanwhile, declined to confirm any relationship with the alleged fraudster. Rumours talk of £400 millions lost. FORGERY DISTRIBUTION GANG linked to the Italian mafia have been arrested in Alicante for dealing and spending counterfeit Euros.The gang are alleged to have purchased the fake cash from the Calabresa Mafia at a price between 30% and 40% of the face value of the notes. They then spent the money in local markets and small shops across the region.The Guardia Civil say they have arrested a total of 20 people in relation to the case, in Alicante, Valencia, Murcia, Málaga, Almería and Lugo, and that the notes were also distributed in Portugal and the North of Africa. 150,000 € worth of 20 and 50€ notes were recovered by the Guardia Civil, in an investigation which started at the end of last year.It’s thought the gang has distributed as much as a million fake Euros since being established. Spanish investors could have up to 3 billion euros ($3.98 billion) of exposure to funds managed by Wall Street trader Bernard Madoff, accused of masterminding a fraud of up to $50 billion, Expansion said on Saturday. 'The first estimates suggest both groups (large fortunes and Spanish funds) could have invested more than 3 billion euros in vehicles managed by Madoff,' the financial daily said without naming its sources. Investors in hedge fund Optimal, run by Spain's largest bank Santander, Santander's private banking subsidiary Banif, M&B Advisers Gestion (M&B Capital Advisers) and Spain's second largest bank BBVA were among those affected, the same sources told the paper. A spokesman for BBVA said BBVA customers in Spain were not exposed to the fraud. 'BBVA has not commercialised in its network of retail clients or private banking in Spain products managed or deposited in Madoff Investment Securities,' he said. A spokesman for Santander declined to comment on whether it had exposure. Santander's Optimal has commercialised more than $3 billion dollars of Madoff funds, the newspaper ABC said, citing data from Bloomberg. Two funds of M&B Capital Advisers have $578 million invested in a Madoff hedge fund, ABC said, citing Bloomberg data. No one was available to comment at M&B Capital Advisers. 28 year old Daniel Paul Johnston and 47 year old Keith Burke have been arrested in what is more success for the crimestoppers campaign.Both men were on the top 30 most wanted list, with Johnston found in the Sevilla village of Pruna following a tip-off. He is reported to have been living there as a handyman. He’s wanted for armed raids in Derbyshire in 2004 and 2005 and is expected to return to England for questioning.Keith Burke, known as ‘Tattooed Keith’ because of a devil and swallow tattoos on his neck, is wanted in connection with an attack on a bar near Doncaster in 2001. Alan Dickson, 37, from Falkland in Fife, masterminded an operation to smuggle over one million pounds worth of cannabis into Scotland from Spain. Alan Dickson, 37, from Falkland in Fife, masterminded an operation to smuggle over one million pounds worth of cannabis into Scotland from Spain. In 2002 he was caught and jailed for ten years. However, he allegedly fled Castle Huntly jail four years later. This month he was returned to Scotland after being discovered in the Costa Del Sol. He appeared on petition from custody at Perth Sheriff Court accused of walking out of the jail on 28 December 2006 and spending two years on the run. He is also accused of defeating the ends of justice by absconding from the jail while serving a ten-year sentence imposed at the High Court in Edinburgh on 5 March 2002. Dickson made a brief appearance in private and made no plea or declaration in relation to the absconding charge. He was fully committed for trial and remanded in custody after making no application for bail. In 2002, the High Court in Edinburgh heard how Dickson was the head of a gang smuggling cannabis to Scotland from his home in holiday resort Torremelinos. Dickson, who was also jailed for five years for drug trafficking in 1997, dispatched couriers with suitcases packed with cannabis resin from his apartment. Icod de los Vinos Guardia Civil have arrested a 22-year-old woman for possession of 29 bags of cocaine amounting to 15 grams which she is presumed to have intended to sell. The woman was caught on the TF5 by a checkpoint, and the cocaine was seized along with 160€ which is thought likely to be the proceeds of previous sales. Drug trafficking gang operating in the Canary Islands have been arrested in a series of raids in Fuerteventura and Gran Canaria. Drug trafficking gang operating in the Canary Islands have been arrested in a series of raids in Fuerteventura and Gran Canaria. According to a Guardia Civil statement released yesterday, the gang had laundered part of the proceeds by investing in local business such as restaurants and bars, and buying property, while the rest was diverted to bank accounts in Morocco and Melilla. A total of 800kg of cannabis has been confiscated, 300kg of which was discovered in a lorry on board a ferry travelling from Fuertventura to Las Palmas while the remaining 500kg was found during a search of a chalet on the outskirts of Pájara in southern Fuertventura. It seems that the drugs were smuggled from north Africa using high-powered motor launches, four of which have been confiscated. Sixteen bank accounts have been blocked and embargoes have been imposed on several chalets, apartments, and garages, as well as two restaurants and a bar, in Puerto del Rosario, Cotillo and Antigua. Plot to import millions of pounds worth of drugs into the UK was foiled when Spanish police became suspicious of a consignment of five pallets awaiting shipment to Cumbria, a court heard. Police in Seville opened the boxes and found more than four tonnes of cannabis which would have been worth £12 million if it had reached the streets of Britain.They replaced the drugs with sand and bricks and sent the load on its way.Then, a jury at Carlisle Crown Court was told, they alerted their counterparts in Cumbria, so they were waiting when the consignment arrived at a cash and carry warehouse in Windermere.The alleged ringleaders were arrested on the spot and charged with various drug-dealing and money-laundering crimes.Further investigations showed that cannabis worth a total of £35m could have been sent in four previous consignments.The prosecution says a gang of local people, led by George Tymoszycki of Storrs Park, Bowness-on-Windermere, were involved in importing the cannabis.Tymoszycki died in June.Those on trial are his ex-wife Sharon Ambrose, 48, of Storrs Park, Bowness-on-Windermere; John James Nightingale, 65, of Lane End West, Windermere who runs Lakes Car Hire in Windermere and Duncan William Maxwell, 43, of Lake Road, Windermere. Nightingale has pleaded not guilty to conspiring to supply cannabis and to money laundering, while Ambrose and Maxwell have both denied money laundering.The court was told that Nightingale supervised the deliveries while Nightingale, Maxwell and Ambrose then put the money through their bank accounts in an attempt to hide its origin.The trial is expected to last about three weeks. Guardia Civil arrested a 50-year-old German yesterday for trying to bring 1,090 grams of cocaine into Tenerife through the airport. Guardia Civil arrested a 50-year-old German yesterday for trying to bring 1,090 grams of cocaine into Tenerife through the airport. The arrest was made in the arrivals hall when Guardia Civil officers approached the man and asked the reason for his visit to Tenerife. Apparently, he was unable to give a convincing reason, and although a search of his suitcase revealed nothing, he was taken to a hospital centre in Santa Cruz for X-rays where it was established that he was carrying the drugs inside his body. The packets were expelled under medical control, and turned out to be 88 capsules of cocaine amounting to 1,090 gramos. Police in Spain have arrested two people on suspicion of having swindled a total of 65 million euros from foreigners. Police in Spain have arrested two people on suspicion of having swindled a total of 65 million euros from foreigners. Around 200 people, most of them Britons, had invested money in non-existent schemes along Spain's Costa del Sol.Twenty people are suspected of money laundering, falsifying documents and fraud after they approached foreign investors through Internet, telephone calls and real estate fairs. FUGITIVE wanted for four robberies in Derbyshire now thought to be living in Spain is still being hunted by crime-fighters. Police issued a photograph of Daniel Paul Johnston, 27, in January, along with an appeal for information from the public. 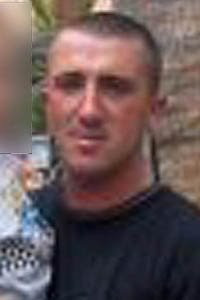 But Johnston, who is originally from Matlock and is wanted for four robberies at off-licences in Derbyshire, remains on the run and is still believed to be in the Costa Del Sol.As part of Operation Captura – a scheme launched by the Serious Organised Crime Agency, Crimestoppers and the Spanish authorities – Johnston was named on a list of 20 fugitives police wanted to trace. An agency spokesman said: "We are still making efforts to trace this man and continue to work with colleagues to do so. There are indications that he went to Spain and we believe he is still living there. "While we cannot talk about the specifics of investigations, we can say that work with the relevant authorities in Spain is on-going." Johnston is thought to have committed two robberies in September, 2004, and one in January, 2005, at Bargain Booze, in Limetree Avenue, Midway. Another, in October 2004, took place at Wellwood Road Stores, in Newhall. A knife was brandished and cash stolen. Operation Captura identifies people wanted by British police for crimes committed in the UK. To date, 14 fugitives have been brought to justice following 20 such appeals on the Crimestoppers' Most Wanted website. The appeals ask members of the public, either in Spain or the UK, to contact the authorities to help trace suspected criminals. SOCA co-ordinates the appeals and then processes a European arrest warrant, which is used to bring fugitives back to the UK. The introduction of European arrest warrants came about in 2003 as part of the Extradition Act and is used to speed up the transfer of suspects from one country to another.The spokesman added: "We have had great success from the operation so far and we will do all we can to bring people to justice." The Costa del Sol, in Andalucia, was given the nickname "Costa del Crime" over 20 years ago because of the number of suspected UK criminals thought to be living there.